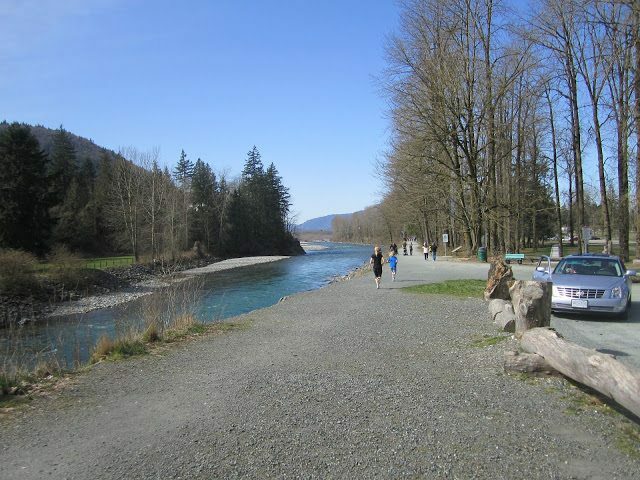 Vedder River Trails – Let's Go Biking! 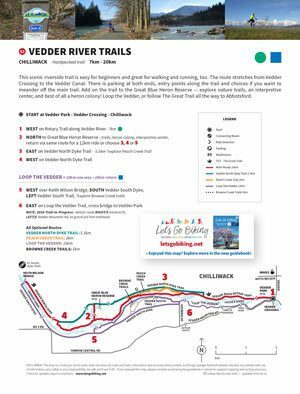 Vedder River Trails – Let's Go Biking! This scenic riverside trail is easy for beginners and great for walking and running, too. 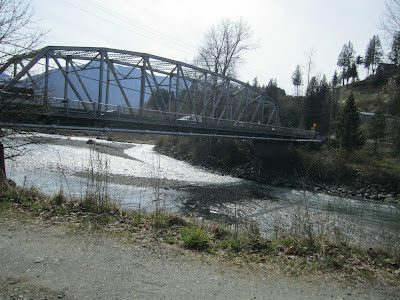 The route stretches from Vedder Crossing to the Vedder Canal. There is parking at both ends, entry points along the trail and choices if you want to meander off the main trail. 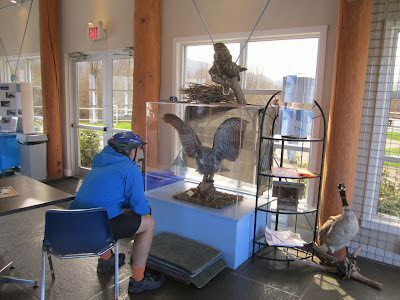 Add on the trail to the Great Blue Heron Reserve — explore nature trails, an interpretive center, and best of all a heron colony! 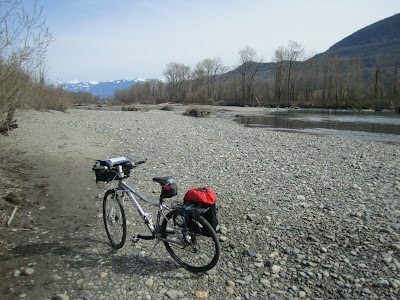 Loop the Vedder, or follow The Great Trail all the way to Abbotsford. ROUTE ALERT: The segment from Geisbrecht Rd does not currently connect to Vedder Mtn Rd. 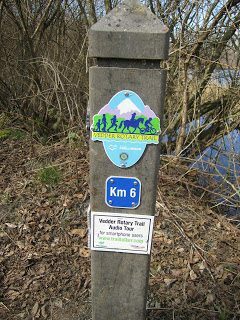 Temporary route until trail is completed: EAST on trail to explore, retrace WEST on trail, SOUTH Geisbrecht Rd, LEFT/E Vedder Mtn Rd, LEFT/N across Vedder Bridge. Thanks to proof-rider Geoff for this update. 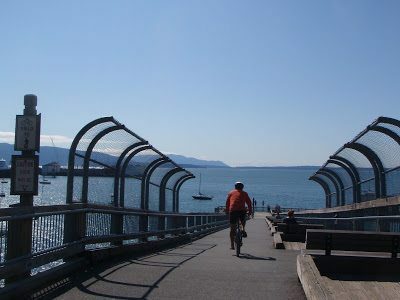 The route stretches from Vedder Crossing on the east side to the Keith Wilson Bridge on the Vedder Canal to the west. There is parking at both ends and at entry points along the trail. It’s very easy and do-able for all kinds of riders, especially beginners. 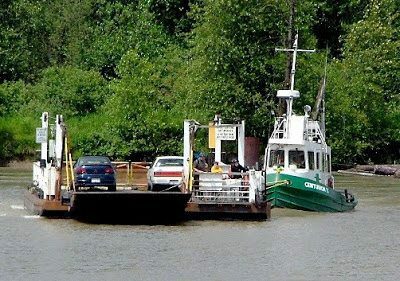 Park in the lot next to the Vedder Crossing Bridge and head west. Along the way there are choices if you want to meander off the main trail. Be sure to take the branch up to the Great Blue Heron Reserve. There are nature trails to explore on foot, an interpretive center, and best of all a Heron colony!!! 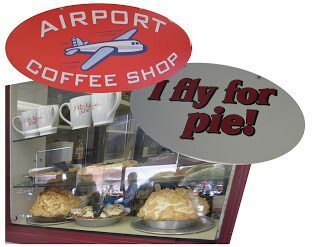 The airport is famous for their pies. It’s not close to the trail, but we picked up lunch before driving to the trailhead. Perfect for bikes, strollers, walkers, joggers and horses and buggies, too! You can do as much or as little as you like along this trail. 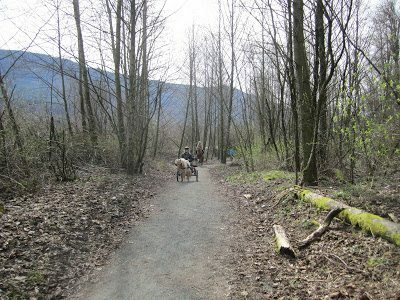 The Great Blue Heron Reserve has a loop trail. Bring the family out to see the heron nests in the trees surrounding the lagoon. There are many options here for cycling and hiking. 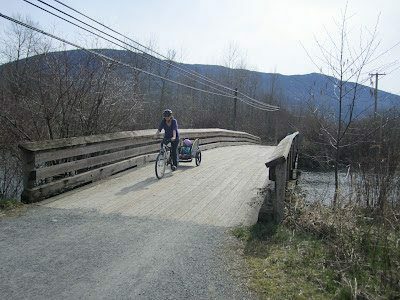 A good family loop is from Vedder Crossing to the North Dyke trail and back to the car. Thanks to Proof Rider Robert, who suggests: “another nice spot to catch lunch… In Garrison Landing, the large redevelopment area right at Keith Wilson Rd, and Vedder Rd, my wife and I discovered Garrison Bistro ( 45555 Market Way) and enjoyed a lovely lunch on their outdoor patio. There are numerous other shops and eateries right in that same development. Watch this video about the New Vedder Bridge!